The fastest way to check the status and get results of your shipment. 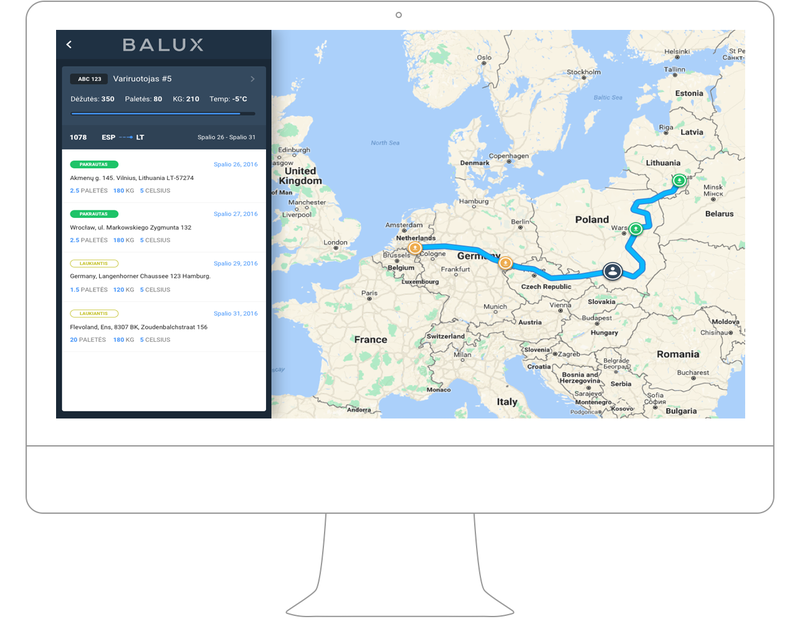 No need to call Customer Service – our online results give you real-time, detailed progress as your shipment speeds through the Europe. Modern GPS tracking system allows the client to keep track of his goods at any time, any place from the collection point to the delivery point. Innovative temperature monitoring solution let's to know the cargo temperatures in the real time and get alarms on deviations on time. -Exact place of the vehicle in the real time. -Exact cargo temperature in the real time. Fleet monitoring, control and alarm solution gives real time tracking of your transportations and provides information that helps to get the information needed in the real time- vehicle place and cargo temperature. Solution is made of hardware and software products that allows to monitor key vehicle activity parameters and provides means to control drivers through web based system. In the possible deviations, notifications and alarms are sent directly to related personnel of this object (vehicle, transportation, cargo). We are ready to meat your demands in pharma transportation and give you real time information, which is crucial for successful cargo journey to it's destination.